During the warmer months, your dog loves to be outside and playing both with and without you. You want to make sure that your dog is happy and entertained the entire time they're outside, and picking out the best outdoor dog toys can help you keep your dog happy, healthy, and at a good weight. 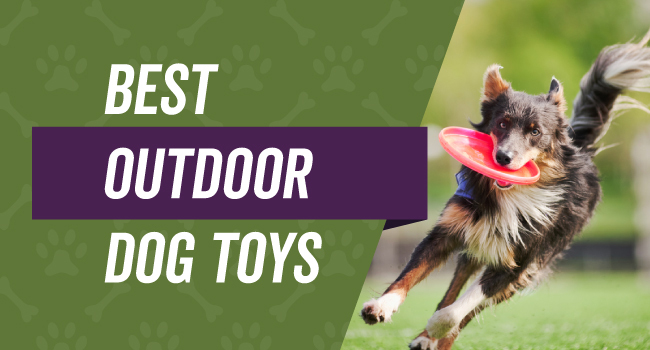 But, we know that there are hundreds of different types of outdoor dog toys currently available on Amazon, and it's easy to get overwhelmed when you try to pick out a good one. We've put together a buyer's guide along with five product reviews to help you compare quality products quickly and easily. What Makes Outdoor Dog Toys Different From Indoor Toys? 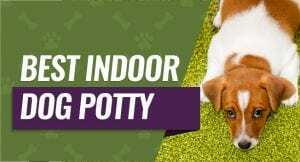 There are indoor dog toys and outdoor dog toys, but what is the difference between the two? You'd naturally assume that these toys are interchangeable. However, this isn't the case with some outdoor and indoor dog toys. Outdoor dog toys are usually designed to be slightly more durable than indoor toys because they have to withstand different weather conditions, dirt, water, heat, and humidity without breaking down. Most indoor toys simply aren't this durable, and this is why you see indoor dog toys fraying or breaking apart if your dog brings them outside. Also, a lot of outdoor dog toys contain waterproof materials, have a waterproof coating, or come with a waterproof casing. This helps to ensure that they last for longer periods of time. If you don't have any outdoor dog toys for your furry friend, you may want to consider investing in them. There are several benefits that come with having these types of toys, and we outlined them below. Forming a strong and lasting bond with your dog is critical for having healthy dynamics throughout your home. Playing with your dog, tossing their toys, encouraging them to bring it back, and praising your dog are all part of the bonding process that leads to a content dog. When your dog plays outside, they have much more space to run and play as they chase their toys and carry them around. This is a fun and healthy way to encourage exercise and help maintain your dog's weight. To your dog, this is simply having fun and playing with you or by themselves. 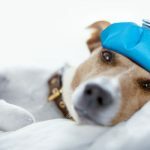 If your dog doesn't get enough stimulation, this can lead to unwanted destructive behavior because your dog is trying to alleviate their boredom. Having them chase a ball or figure out how to get to their toy is a great way to give them a mental workout that'll leave them feeling happy and content. When your dog plays and runs around, it helps to keep their joints in good working order and lubricated. 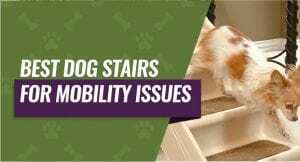 In turn, your dog could experience fewer physical problems when they start to get older because these common problem areas will be stronger and less resistant to injury. No matter which type of outdoor dog toy you choose to buy, there are several important benefits that you want to ensure your dog's new toy has. This can help the toys last for more than a few days or weeks. If your dog is an aggressive chewer, but you don't buy toys that are meant for this level, the toys most likely won't last as long. Match your dog's chewing and general play style with the proper outside toys to help ensure that they last. Durability is one of the biggest factors to consider when you start looking at outdoor dog toys because these toys will go through different elements. Double check the toy's seams for double stitching, a waterproof coating, durable plastic or nylon elements, and more rigid edges. No matter which toy you choose, you want to pay very close attention to the materials to ensure that they're safe for your dog to have. Look for things like BPA-free plastic, no chemicals, no heavy metals, and no frayed edges that your dog could swallow. It's extremely important that you take steps to ensure that your dog is safe each time they get a new toy. Make sure that the edges don't fray or pull apart, that the corners aren't sharp, that small pieces don't break or chip off as your dog plays, and that the toy has non-toxic materials. Size will play an important role in how enjoyable the new toy is for your dog because you want them to be able to pick their toy up, move it around, and toss it without difficulty. Check the different available sizes and compare them to your dog to get a good fit that your dog can enjoy. Does your dog require toys that make sounds or squeak when they play with it or are they content with quiet toys? 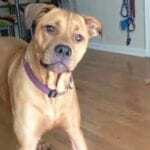 This is important because you want your dog to stay engaged for at least a few hours each time that they play with them. On the other side, your dog may be too timid for noisy toys. Since your dog's toy is going to get exposed to a lot of different elements, waterproofing is an important component to consider. This will help to seal moisture out, keep it from molding, and it'll help the toy last longer in general because it's another protection layer. This bright and fun giggle ball by Allstar Innovations is great for small, medium, and large breed dogs to keep them entertained and moving as they're out and about. The ball has patented clutch pockets at strategic points around the ball that let your dog pick it up and carry it around or run with it. The inside of the ball has numerous small tubes that run from one side to the other that emit whistling and giggling sounds when your dog moves it around to let air pass through them. The bright lime green and sleek black color combination make this ball easy to spot when your dog takes it outside. Your dog will get a ball that comes with a durable but flexible plastic material that gives a little as your dog bites it, so it doesn't break. It also comes with non-toxic materials that are safe for your dog to have in their mouth or bite on when they play with this ball. This dog toy also made our Top 10 Dog Toy List. Dog parents who bought the giggle ball were happy that it came with a bright color scheme that was easy to see in bright and low light conditions. Dog parents said that this ball's material isn't strong enough for aggressive chewers to play with it unsupervised. 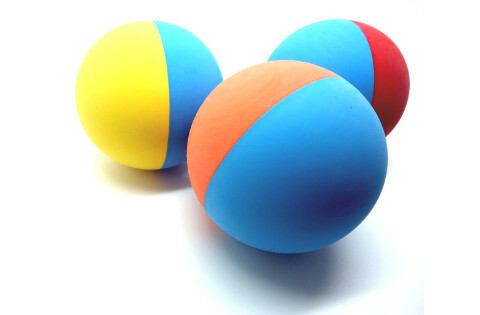 Each package of Snug brand rubber balls comes with three multi-colored balls that feature very vibrant colors that are easy to see no matter what the light conditions are. Each order gives you three solid rubber balls that are safe for your dog to play with and chew on because they feature non-toxic ingredients. These balls come made with heavy-duty food-grade rubber that is free of any BPA or other foam or material that could cause issues for your dog if they ate it. The solid rubber construction makes these balls very durable and resistant to cracking, breaking apart, or splitting due to chewing. You'll be able to play with your dog on land and in the water with these balls because they're lightweight enough to float when you toss them into a body of water. The medium size makes these an excellent toy for medium and larger dogs. People who bought this item for their dogs were happy that these balls were made with a food-grade rubber that is easy to clean and lightweight. People who bought this item weren't happy that the slick rubber could easily get into their dog's throats. This large and plushy ball by Chuckit! comes made out of a foam and rubber material that makes this ball lightweight enough to fly far when you throw it and float in water. The unique grooved design gives your dog several areas to pick up and grip the ball when they play with it. You get the choice of a bright orange and blue design or a lime green and white design that glows in the dark for high visibility in all light conditions. The seams of this ball are double stitched for added durability against chewing, shaking, and general roughhousing. The unique construction with the grooves allows this ball to bounce in wildly random patterns each time you throw it to keep your dog entertained and chasing it. There are two different sizes available that is suitable for larger breeds and smaller breeds. Dog parents that bought this grooved ball were impressed with the unique design, bold colors, and durable construction with reinforced seams. Dog parents were not impressed that ChuckIt's ball couldn't handle roughhousing without tearing in spots. If you have a dog that likes to play outdoors in all seasons and conditions, Hyper Pet's Frisbee contains lightweight but durable materials that fly far and float in the water. You can choose from several bright colors including reds, oranges, yellows, greens, and pinks that make this Frisbee easy to spot if your dog misplaces it. The frisbee comes fully covered by a durable fabric with a rigid outer ring that helps the frisbee fly far each time you throw it for your dog. It comes with multiple layers of nylon fabric that create a medium that is durable enough to stand up to your dog grabbing it out of the air. This frisbee is a medium size that is great for medium and larger dogs to play with because it fits into their mouths without being too large or heavy. It's easy to slide into your backpack or bag and take with you to the dog park to play with your dog. People who purchased this frisbee for their dogs were impressed with the multiple layers of nylon construction because it made this outdoor toy lightweight but very durable. Dog owners did mention that this frisbee may not hold the attention of more hyper dogs because it doesn't make any noise to stimulate them. This interactive toy by ANG is a great tool to use for training your dog, giving them exercise, or simply enjoying the day outside and bonding. The durable wand features a thick and durable rope tail that your dog can grab onto, chew, and tug on without fear of breaking it. The pole comes with a folding design that lets you fold it down, wrap the tail around it, pack it up, and easily carry it with you to the dog park or other locations. You can twist the pole to lock it into place when you unfold it, and you're ready to play with your dog. The cord that attaches the rope tail to the pole is made out of a slightly flexible but very durable nylon material that lets your dog tug and pull on it without snapping or fraying. You'll get a replacement tail when you purchase this outdoor dog toy so you can play for days. Dog parents that bought this outdoor dog toy were pleased that it comes with a folding and secure locking design that makes it easy to take this toy with them. Dog parents were not pleased that this toy wasn't strong enough to withstand a larger dog playing or tugging at it. We chose the Allstar Innovations Wobble Wag Giggle Ball as our pick for the best outdoor dog toy because it features a very unique design with pockets that lets your dog grab onto it and pick it up without a problem. The bright colors were another point we really liked because this makes the ball easy to find or see when our dog plays with it. The flexible and durable material that the ball is made out of was another great point that can withstand hours of play without a problem. Finally, the noises this ball makes help to keep dogs engaged and playing for hours at a time.